Preschool Worship - Preschool Worship takes place in Room 503 during the 9:30 AM worship hour. This is an awesome time for three and four year olds to come together for songs, games, art, crafts along with Scripture which are all used to reinforce the day's Bible lesson. Connect Groups - Preschool Connect Groups are at 10:45 AM. We provide a safe, secure, loving environment for children birth-preschool. Hands on activities, music and Bible stories are used to convey the Bible lesson and reinforce what has been learned in Connect Group. AWANA Puggles is for children two years old (as of Sept 1). They meet in Room 505. AWANA Cubbies is for children three and four years old. They meet in Room 503. Activities include Bible time, scripture memorization, game time and snack! You can click HERE if you are unfamiliar with the AWANA program. Childcare and preschool activities are also available when we have Sunday evening activities on our campus. KidVenture is our Kid's Ministry for K-4th graders. Kids' Connect - Kids' Connect is our Sunday morning small group time for kids. During this time kids connect with boys and girls their own age, while connecting to God through studying the Bible! We currently have 3 Kids' Connect Groups: Kindergarten, 1st & 2nd Grade, 3rd & 4th Grade. All Kids' Connect Groups meet at 9:30 and use the Gospel Project literature. Kids' Worship - Kids' Worship is another opportunity for kids to connect with each other and God. Kids' Worship meets every Sunday morning at 10:45. We offer 2 Worship opportunities for kids at 10:45, Kindergarten only and 1st-4th. KW also uses the Gospel Project material and gives kids the chance to participate in large group activities, which include singing, games, prayer, Bible Study, and great discussion. 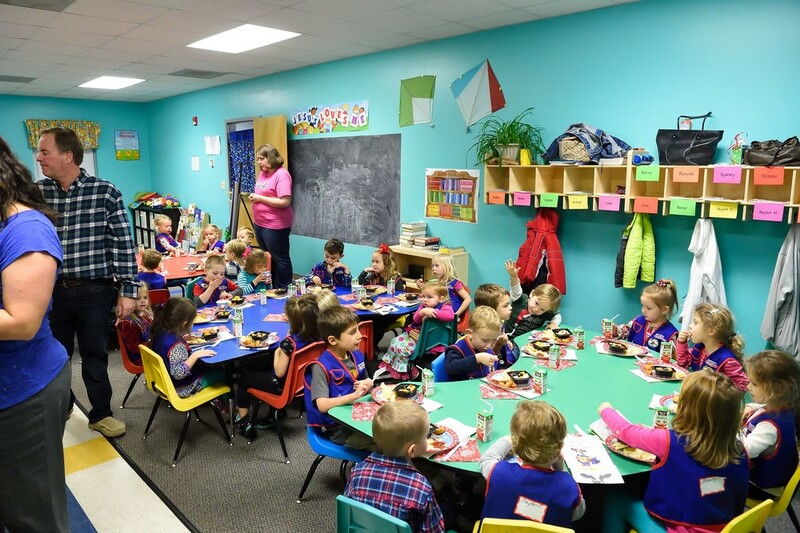 AWANA - AWANA meets every Wednesday at 6:30pm during the traditional Durham School Year and is a chance for students to grow in their knowledge of God and His Word. There are 3 main elements to the AWANA night; Small Group Time, Large Group Time, and Game Time. During Small Group time, students are studying God's Word and reciting Scripture verses. Large Group Time is an exciting and upbeat time of worship that includes pledges, music, activities, and a message from God's Word. Each AWANA Club also gets to spend 20-25 minutes in Game Time each week. We hope you will join us on Wednesday nights from 6:30pm to 8! Summer Camp - Join us this Summer as we go to Camp Caraway! Caraway is a 5-day 4-night camp for kids who have completed 2nd-6th grade. This is a great time to get away from home and have fun learning about our Lord and Savior, Jesus Christ. Kids will experience the message of Jesus through Bible study, recreation, track times, and worship. Click here for more information about Camp Caraway. 2019 Camp Registration form is available in the link section below. Vacation Bible School - Every summer we enjoy transforming our church facilities into a themed environment for Vacation Bible School. We enlist the services of almost 100 adult and youth volunteers in order to provide the best VBS experience for the kids in our community. VBS meets Monday through Friday morning from 9-12. Each day starts with an energetic opening assembly, followed by kids rotating through arts & crafts, music, Bible Study, snacks, and recreation. T3 (Tuesday Take Three) - T3 meets throughout the Summer, and is a 3-hour (1:00 – 4:00) hangout for kids on Tuesday afternoons. Drop-off and pick-up will be at the designated location, and parents are invited to stay and participate. Possible activities include Palace Point for skating or bowling, Northgate Cinema for a movie, Frankies Fun Park, and other local places. Bring the whole family and join us in the Gym for a prescreening of The Pilgrim’s Progress movie. This family-friendly animated feature follows closely John Bunyan's masterpiece by the same title. Come join us for lots of fun and excitement. We will have inflatables, popcorn, snocones, face painting, crafts, a photo booth, giveaways, and Easter egg hunts. or call the church office at 919-477-5426. The BRIDGE is a ministry designed for "preteens" (5th & 6th grade). The purpose is to provide an environment where 5th and 6th graders are challenged to grow and develop at a level more suited to their maturity. We work to provide events that are not only customized just for them, but events that also help them transition into the Student Ministry. Connect Groups are the heart of Ridgecrest Baptist Church, and the same is true for the Bridge Ministry. The 5th & 6th Grade Connect Group meets at 9:30 on Sunday mornings. The goal of Connect Group is for students to connect with God through solid biblical teaching, connect with other students their age through biblical community, and to connect to our community through service. The BRIDGE Connect Group uses the Gospel Project material. On Sundays, our Bridge students attend the 10:45am Exalt worship service as a group. BRIDGE students have the opportunity to serve on Sundays in Kids’ Worship at 10:45. These student leaders serve by running the computer, leading singing, assisting during games, and helping younger kids complete their listening guides. Student leaders serve on a once a month rotation. If your BRIDGE student is interested in serving, contact Joe Yandle. BRIDGE on Wednesday is our new Wednesday Night gathering for 5th & 6th graders. BRIDGE on Wed is a hybrid between AWANA and Student Ministry. 5th & 6th graders will meet from 6:30 to 8:00 in Room 110. This time will include fun and games, large group Bible Study, and small group activities. The Large Group & Small Groups will be using the AWANA Agents of Grace material. BRIDGE on Wednesday meets every Wednesday at 6:30pm during the traditional Durham School Year and is a chance for students to grow in their knowledge of God and His Word. All of our BRIDGE students are inited to come help make the Kids’ Easter Celebration possible! Serve from 9:00 – 12:00. 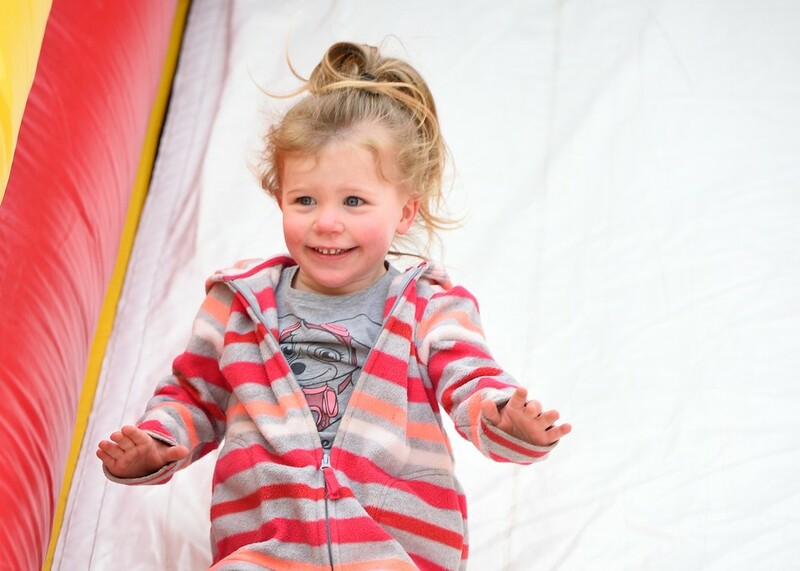 Then from 12:00 – 1:30, The BRIDGE students get to enjoy some pizza and inflatables! !